As one in a long line of National Reconnaissance Office Launches, NROL-35 follows the normal secrecy routine of NRO launches – no details on the identity of the payload or its target orbit are released, the exact launch window duration is kept secret and the live launch broadcast will end at the point of payload fairing separation when Atlas V will head into the customary news blackout. Clues on the identity of the payload can be provided through the mission patches, but more substantial data is available through analysis of the targeted launch time, the launch vehicle that is being used and navigational warnings that are issued prior to flight and allow insight into the target orbit. 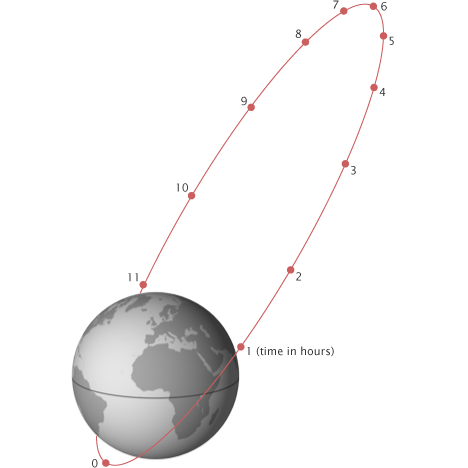 For NROL-35, the navigational warnings clearly confirm that the payload is headed to a Molniya Orbit which is a highly elliptical orbit at an inclination of 63.4 (in this case) or 116.6 degrees with a period of half a sidereal day (~12 hours) and a high apogee around 40,000 Kilometers. This type of orbit was first used by a series of Russian military communications satellites known as Molniya (Lightning). Relative to Earth, the satellite’s speed is slowest at higher altitudes, meaning that the spacecraft spends the majority of its time around apogee. 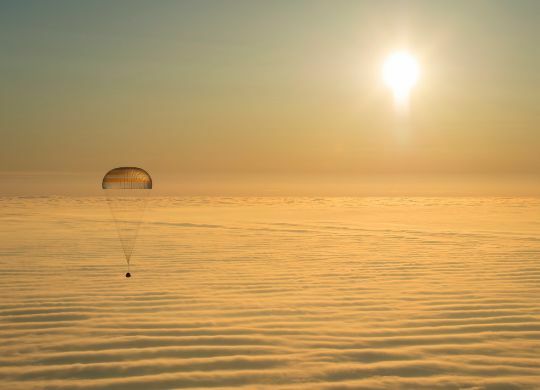 Communication satellites in Molniya orbits operate for eight hours per orbit centered around the apogee passage. Reconnaissance spacecraft take advantage of the long apogee passage to observe target locations at virtually any point in the northern hemisphere. Current NRO programs using Molniya Orbits are the Trumpet electronic intelligence satellites and the HEO Segment of the Satellite Data System which includes spacecraft in Geostationary Orbit and satellites in Molniya Orbits. Since the Geostationary Satellite Data System spacecraft only require Atlas V 401 rockets it seems unlikely that a 541 would be required to send an SDS craft of any modification to a Molniya orbit. Another clue of NROL-35 being a Trumpet satellite is the SBIRS-HEO-3 payload for the Space-Based Infrared System that includes dedicated satellites in Geostationary Orbits and hosted payloads on satellites in Highly Elliptical Orbits (HEO). The HEO-3 payload was shipped for integration with its classified host spacecraft in mid-2013, making a perfect fit for the NROL-35 timetable. Both SBIRS HEO payloads that have previously flown were hosted on Improved Trumpet Satellites (NROL-22 and NROL-28 in 2006 and 2008). The Trumpet satellites started operations in the 1990s as a successor to the Jumpseat spacecraft that started deployment in 1971 using Titan III(33)B launch vehicles. A total of seven Jumpseat signals intelligence satellites were launched until 1983, six of them achieved orbit. Three Trumpet satellites were launched by Titan IV rockets in 1994, 1995 and 1997 featuring a number of differences to the Jumpseat satellites – first and foremost their mass since Trumpet satellites are estimated to weigh a little over five metric tons while Jumpseat satellites had a mass of around 700 Kilograms which can also serve as an indicator of the satellite’s capabilities. Details on the Trumpet Electronic Intelligence Satellites are not available. Speculative information claims that the satellites host large deployable mesh antennas with a diameter of over 100 meters to pick up even faint radio signals over foreign territory to allow insight into activity at military installations and other sites of interest. It is speculated that the Trumpet satellites were manufactured by Boeing. Starting in 2006 a second generation, known as Improved Trumpet, started deployment beginning with a Delta IV M+(4,2) launch and followed in 2008 with the launch of an Atlas V 411 that sent the satellite into Molniya orbit. 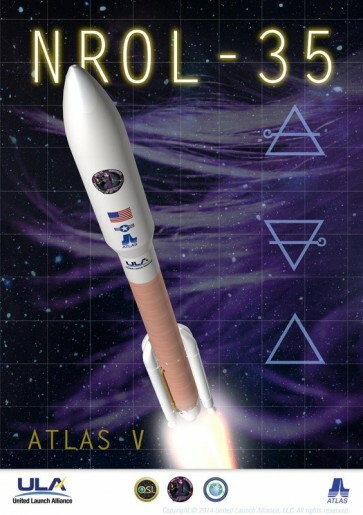 NROL-35 is using the more powerful Atlas V 541 with the larger 5-meter payload fairing which would indicate that the launch is likely carrying another version of the Trumpet Satellite, potentially starting the deployment of the third generation of spacecraft. It still remains possible that NROL-35 is a one-off spacecraft or a new type of HEO spacecraft series which can only be confirmed by tracking the satellite’s orbit and potential activities after launch. 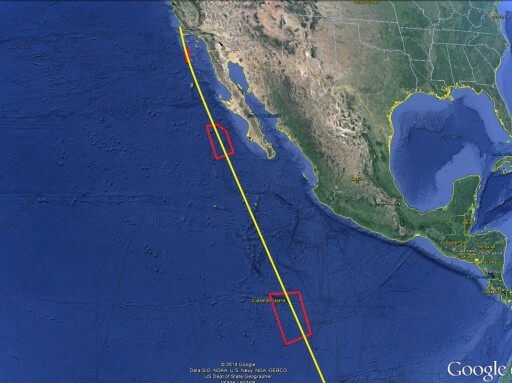 Satellite trackers around the world are eager to pin-point the satellite’s orbit and help confirm is identity. The mission’s patch, like most NRO patches in the past, showcases plenty of symbolism and insignia to keep analysts busy. 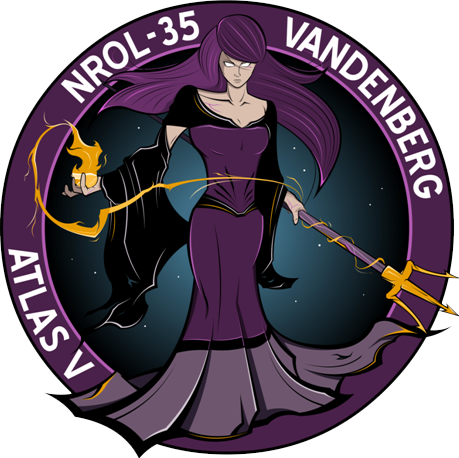 The mission poster includes the elemental symbols of fire, air and Earth while the mission patch prominently features a female figure with glowing eyes and purple hair holding a trident – possible references to Nisus and Poseidon in Greek Mythology. The trident is also the US Navy Special Warfare insignia worn by the SEALs and representing three aspects of SEAL operations on land, at sea and in the air. One interpretation of these ‘clues’ is that NROL-35 is a type of surveillance satellite that can monitor activity across the globe.